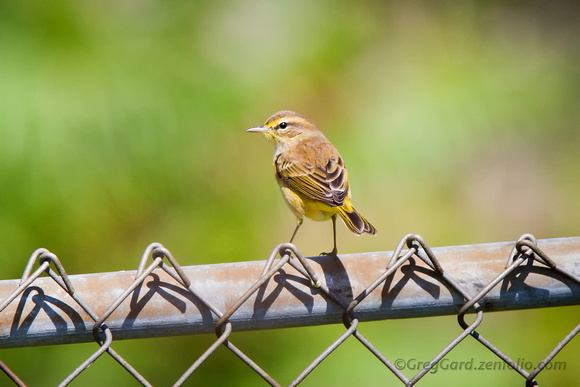 Just a quick report from last Sunday’s birding trip to Sandy Hook, New Jersey. 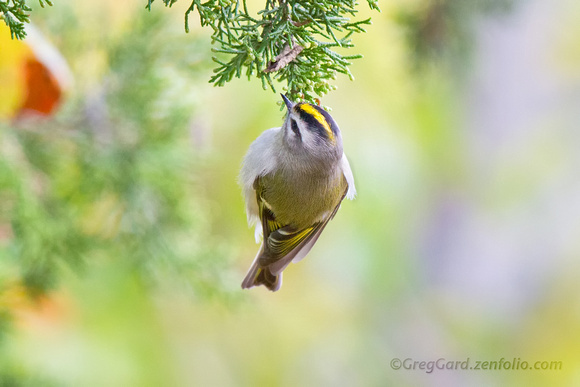 Literally in the first two minutes on the trail we, me and my wife, were greeted with a sight of a five cute little birds – Golden-crowned Kinglets (new bird for us). Golden-crowned Kinglet ©Greg Gard - greggard.zenfolio.com - Canon EOS 7D, 300mm F2.8 IS, ISO 1600, 1/200s, f/5.0 AV mode - Handheld - Cropped Frame. This gave us more appetite to look for what can be hidden further into the trail. We’ve found a quiet spot where fall migrants were pushed by a strong wind and stayed there for couple of minutes giving us an opportunity for closer looks. 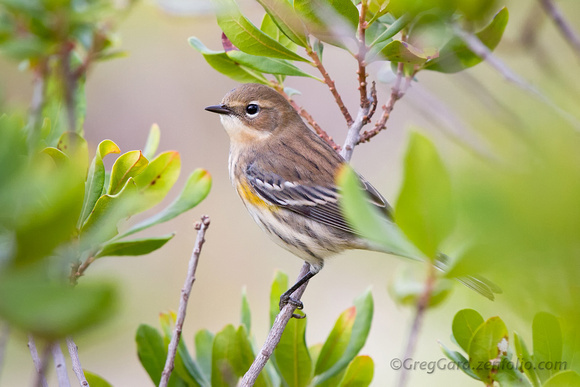 Yellow-rumped Warbler ©Greg Gard - greggard.zenfolio.com - Canon EOS 7D, 300mm F2.8 IS, ISO 800, 1/1250s, f/8.0 TV mode - Tripod mounted - Cropped Frame. 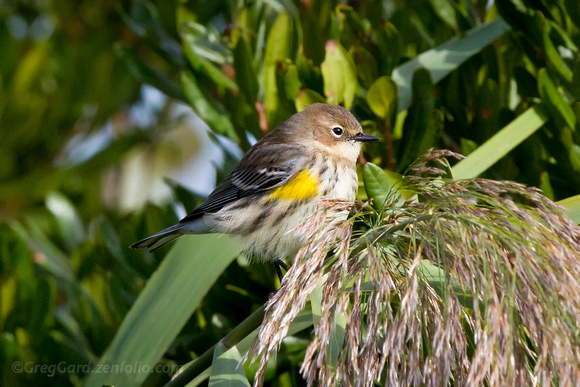 Yellow-rumped Warbler ©Greg Gard - greggard.zenfolio.com - Canon EOS 7D, 300mm F2.8 IS, ISO 800, 1/1000s, f/5.6 TV mode - Tripod mounted - Handheld - Cropped Frame. 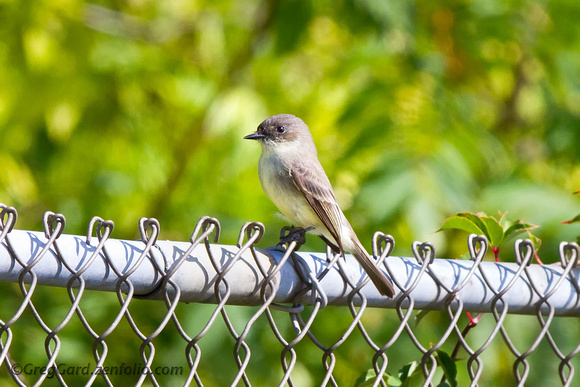 Upon returning to the parking lot my wife spotted a Eastern Phoebe. As we learnt later on, there were six of them hunting for insects. Eastern Phoebe ©Greg Gard - greggard.zenfolio.com - Canon EOS 7D, 300mm F2.8 IS, ISO 400, 1/1000s, f/6.3 AV mode - Handheld - Cropped Frame. 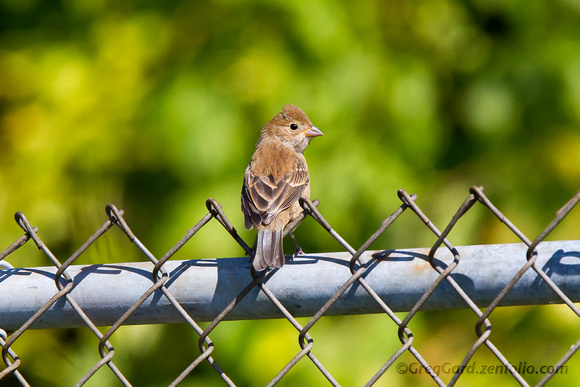 Lincoln's Sparrow©Greg Gard - greggard.zenfolio.com - Canon EOS 7D, 300mm F2.8 IS + 1.4x teleconverter, ISO 400, 1/1600s, f/5.6 AV mode - Handheld - Cropped Frame. 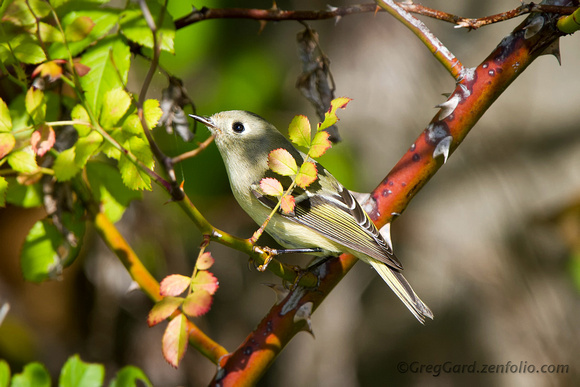 Ruby-crowned Kinglet©Greg Gard - greggard.zenfolio.com - Canon EOS 7D, 300mm F2.8 IS + 1.4x teleconverter, ISO 200, 1/800s, f/5.0 TV mode - Handheld - Cropped Frame. 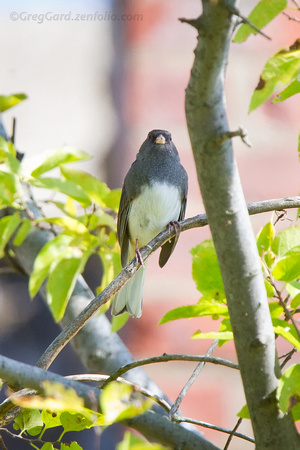 Dark-eyed Junco©Greg Gard - greggard.zenfolio.com - Canon EOS 7D, 300mm F2.8 IS + 1.4x teleconverter, ISO 400, 1/500s, f/5.6 AV mode - Handheld - Cropped Frame. Those are very amazing pictures, great angles and the details are prestine too. Of course those birds are just so beautiful, thank you for sharing.